More than 33 airports worldwide have, or are planning to have, an 'Airport City'. Twenty-five 'aerotropolises' – urban developments with an airport city at their core – are operational and a further 26 are under development, according to a list maintained at www.aerotropolis.com. Airports on six continents are considering, or are already using, these new business models and they are rapidly becoming one of the most preferred business models for airports globally. The author, Dr. Mirjam Wiedemann, will participate in a special afternoon session on Airport City and Aerotropolis development at CAPA’s Airport Leaders’ Forum in Dubai on 17-May-2017. As governments worldwide struggle to finance new infrastructure, public-private partnerships and private investments in general are in favour in the aviation sector internationally. Realising that unused land in the airport precincts could be used for real estate developments, airports and governments globally have started to build so-called 'airport cities'. The purpose of these developments is to inscrease non-aviation related revenues to have a second revenue stream that is – more or less – independent from crises on the aviation-related side, such as the bankruptcy of the main hub carrier. Expanding out from the terminal, airport owners or operators increase retail areas inside and outside the terminal and develop all kinds of facilities on airport land. Developments can include, for instance, hotel/conference facilities and shopping malls, as well as educational, health and recreation facilities. Different financing options are available, ranging from private developers, to private investors, or development undertaken entirely by the airport itself. The developments around the airport and air traffic are stimulating each other: with there being growing numbers of developments and, along with that, a growing number of businesses locating in the region, the demand for air traffic is growing because of an increasing need of transport for products and people. On the other hand, growing air connectivity, with numerous other factors, are together an incentive for businesses to locate in the airport city or 'aerotropolis'. Some regions have understood that clustering certain developments around an international airport can be used as an economic and urban development tool, and they have joined forces. Stakeholders in the airport precinct implement the airport city concept on a much bigger scale, with new developments reaching far into the region. In these cases, an aerotropolis is established. In the Middle East, the aerotropolis model is used extensively for urban development – where the airport is the core of a new growth pole of the city. The most prominent example is Dubai World Central, in the south of Dubai. Upon its completion, Al Maktoum International Airport intends to be the world’s largest airport, with a capacity of more than 160 million passengers and 12 million tonnes of cargo per annum. The airport is the core of an aerotropolis area that comprises 140sqkm of mixed-use development, made up of six clustered zones that include a logistics area, commercial and residential developments, a dedicated zone for aviation-related businesses, and leisure and entertainment. Precincts of international airports can be great locations for real estate developments and for attracting inward investment. Nevertheless, investors and airport owners should develop a customised strategy for their airport city or aerotropolis and seek advice from specialised consultants. Way too often it happens that current master plans are copies of the same blueprint, without taking regional, economic and cultural circumstances into account. As the first failed examples are showing, these developments do not always ‘take off’. The special afternoon session on Airport City and Aerotropolis development at CAPA’s Airport Leaders’ Forum in Dubai on 17 May 2017 will aim at critical discussion of the fundamental success factors and common pitfalls for these developments, led by an interesting mix of worldwide experts on the panel. 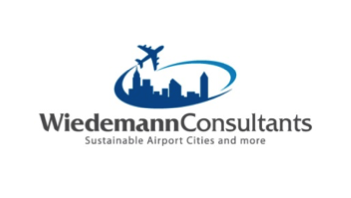 Dr. Mirjam Wiedemann is the founder and managing director of WiedemannConsultants GmbH, a consultancy that specialises in Airport City and Aerotropolis strategic planning and inward investment. Mirjam holds a PhD in Airport City development from Southern Cross University and a Bachelor’s and Master’s degree in industrial engineering from TU Berlin.